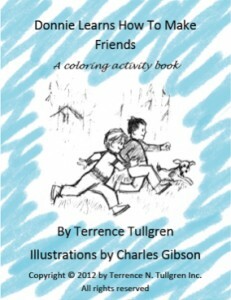 Terrence Tullgren tells the fresh and inspiring story of a shy young boy who learns an empowering secret for making new friends by watching the community behavior of deer in the woods near his new home. To make friends, Donnie sees that he must make eye contact and show the deer a happy, welcoming face. Donnie’s new observation helps him overcome his habit of avoiding eye contact and the deer responds in kind.